Learn how to make the most of your job advertising budget using a media optimization platform built specifically for recruiting. 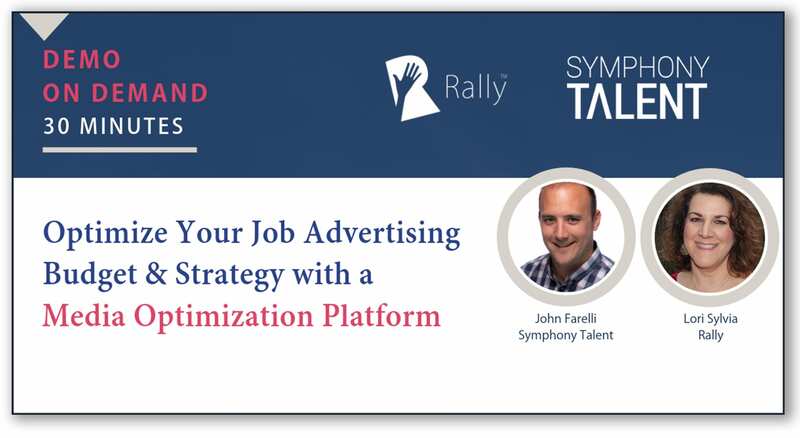 Our guest, John Farelli, product manager at Symphony Talent, shows us how Symphony Talent’s automated media optimization platform, which is part of their Talent Marketing Technology called X-Cloud, makes real-time recruitment marketing strategy decisions and automates job advertising through job boards, social media and digital channels. See some cool HR tech: Programmatic job advertising! Length: 30 minutes.